Tesla’s value dropped $10 billion in the past week to hit an 18-month low on Oct. 8, after the auto manufacturer’s CEO Elon Musk mocked the Securities Exchange Commission (SEC) with a sarcastic tweet and a major short seller compared the electric car company to Lehman Brothers before the investment bank failed. Tesla’s value has taken a beating in recent months, following several controversial tweets from Musk, his public podcast appearance in which he smoked weed and drank whiskey with comedian Joe Rogan and a lawsuit filed by the SEC prior to a Sept. 29 settlement that also required him to step down as the company’s chairman. Shares of Tesla electric car competitor, Nio Inc. (NIO.N), of China, soared 22 percent on Oct. 9 after Baillie Gifford & Co. a Scottish partnership and major shareholder of Tesla, reported in an SEC 13G filing that it had amassed an 11.4 percent stake in the Asian company that listed its shares on the New York Stock Exchange on Sept. 12. Tesla’s share price rose 4.89 percent on Oct. 9 to close at $262.80. Other than Musk himself who owns roughly 20 percent of Tesla’s shares, Baillie Gifford & Co. is the California-based car company’s next largest shareholder with a 9 percent stake. The U.K. investment firm waited for Nio;s share price to plunge from its all-time high of $13.80 on Sept. 14, just two days after its initial public offering (IPO) day, Sept. 12, to more than double its offering price of $6.26 a share to raise $1 billion. Nio plans to build cars for the Chinese market first, then pursue market share in highly competitive Europe and the United States. In contrast, Tesla not only already is building vehicles but has turned its Model 3 into one of the most popular mid-size cars in North America, based on recent sales data. Musk considered taking Tesla private to avoid the short sellers’ persistent verbal digs before opting to keep the company public after consultation with his board of directors and financial advisors such as Goldman Sachs (NYSE: GS). SEC sued Musk on Friday, Sept. 28, for his series of Aug. 7 tweets about taking the company private in a multi-billion transaction at $420 a share for a “substantial premium” of more than 20 percent above the company’s then-current share price. The settlement resolved the lawsuit but Musk continues to voice frustration with short sellers who profit when Tesla’s stock price plunges. Tesla stock has been on a roller-coaster ride in recent months, partly due to whatever Musk is tweeting or doing to stay in the headlines. Wall Street observers who provided feedback to me do not expect Musk’s creative but biting quips about the SEC to derail his settlement with the regulator. Forecasts & Strategies produced a 64.1 percent return for its clients with an investment in Ford Motor Co. (NYSE:F) between December 2009 and January 2011 when the vehicle manufacturer overcame financial distress, but no automobile manufacturers are among its recommendations now. 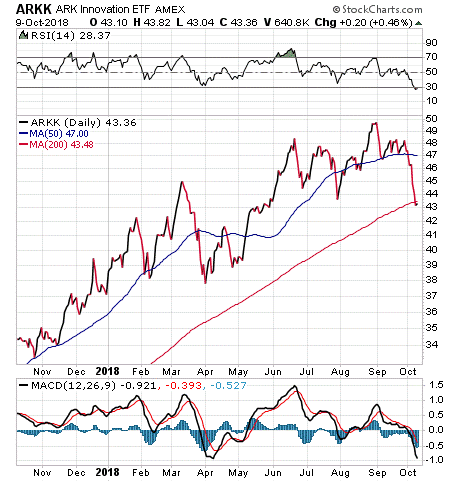 Kramer also is not recommending any auto stocks right now, after recently advising the sale of Ford to subscribers of her Turbo Trader and Inner Circle advisory services. “There has been 1.2 million shares of short covering over the last week as short sellers begin to take profits,” said Ihor Dusaniwsky, managing director and head of predictive analytics at S3 Partners, LLC, a financial analytics firm. 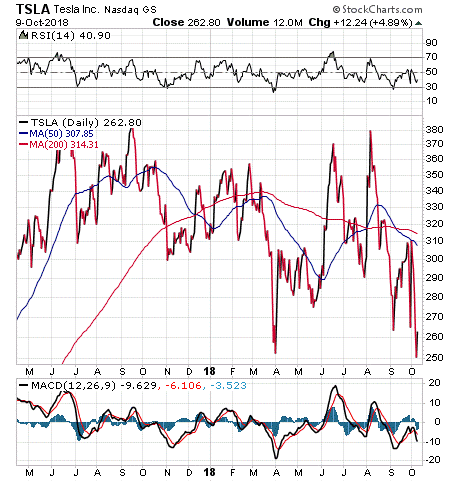 Despite Musk’s dislike of the short sellers, their tactics and negative talk about Tesla, the best response would be to meet financial guidance and production goals in the third quarter and beyond. Medical marijuana might be a hot stock sector in the future and Bryan Perry suggests a leading U.S. contender.